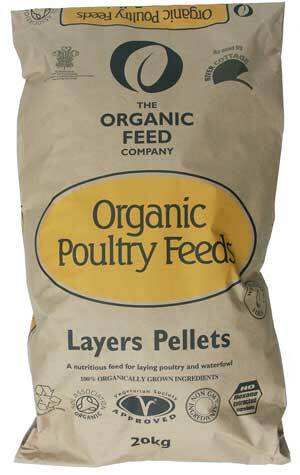 Feeding Organic Layers Pellets to your hens ad-lib will give them a complete balanced diet and keep them happy and healthy. All the vitamins, minerals and omega 3 that your hen requires are included and they all come from natural sources. This product will aid your hens to produce good size eggs with a natural golden yolk. In the afternoon why not treat them with organic mixed corn remembering that treats should always be give in moderation.